Clinical neurologist, EMG technician and researcher. Gabriele Manente was born in Teramo (Italy) on 8-27-1965. He dedicated himself to the devolpment of new neurophysiological tests for the early diagnose of Carpal Tunnel Syndrome (CTS); Muscle&Nerve 1993. He contributed to the explanation of the presence and the functions of the encephalic centre for the urination in men (Journal of neurology, Neurosurgery and Psychiatry, 1996). For this contribute he’s been appointed onorary member of AAAS (American Association for Advancement of Science) 1997. He also developed a new diagnostic manoeveur of relief, for the diagnose of Carpal Tunnel Syndrome (CTS); Muscle&Nerve 1999. He invented a medical device for the hand called “MANU®”, clinically efficient and tolerated for the conservative treatment on carpal tunnel syndrome (CTS); Muscle&Nerve 2001, Acta Neurologica Scandinavica 2009. This device has been approved from FDA (USA Food and Drugs Administration), has been reported on the guidelines of AAFP (American Academy of Family Physician) and considered efficient from the international organization for evidence­-based medicine (Cochrane Database Syst Rev. 2003). He participated with his own indipendent contribution to the main national conventions about neurology in the last years and he also organized conferences about neuroscience. Medical Director of outpatient rehabilitation clinics and also of the Dept. of Neurology in the rehabilitation institute “S. Stefano”, in Porto Potenza Picena (MC) (1995-­1999). Associate Medical Director of the Dept. Of Neurology in Lanciano­Vasto, Ascoli Piceno and Teramo. 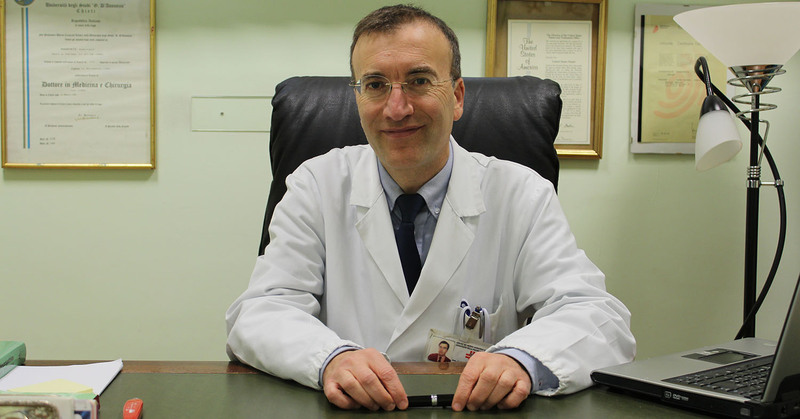 Doctor in charge of the Operational Unit of Neurophysiopathology in Vasto (Chieti). Currently Medical Director of the OU of Neurology in Teramo. He also carries out clinical and neurological activities privately in his office in Teramo. both for the invention of MANU®, the innovative soft hand brace for the conservative treatment of carpal tunnel syndrome.